Patients seeking spondylolisthesis relief must be certain that their diagnoses are correct before pursuing care, or else face disappointing therapeutic outcomes. Most minor to moderate cases of listhesis are not symptomatic to any large degree and therefore do not require professional medical treatment. For cases that are severe enough to warrant treatment, medical interventions can usually bring about satisfying results. When treatment fails to bring relief, there is usually something amiss in the diagnostic process that directly leads to therapy failure. Anyone who is in pain wants to find lasting relief. Chronic suffering is the very worst fate in life and there is no doubt that symptomatic cases of listhesis can enact terrible symptomology. However, it can be confusing for patients to find the very best care practices for their needs and specific condition, so we have decided to share our knowledge in this resource section to help patients navigate their many options for pursuing pain relief. This article contains a number of topical discussions relating to seeking out relief from spondylolisthesis symptoms. If you have tried treatment which failed, or are simply not sure which therapeutic avenue of care to pursue, this resource section is perfectly suited for your research needs. Relief is a very subjective subject. To some patients, it means finding a way to make it through each day of pain while accomplishing everything they need to do in order to live a full life. Others define relief as lying in bed every day hoping against all hope for some miracle to provide them with a cure, despite a lack of proactivity on their part in helping themselves. Still other patients view relief as any little thing that can make a minute of time more comfortable. Finally, there are patients who define relief as a true cure, where pain will be banished and never return. Therefore, your first task in searching for relief is to define it clearly and set realistic goals to achieve exactly you are trying to accomplish. Will you be happy with small improvements in general pain levels? Are you more concerned with increasing your functionality or productivity? Do you need sweeping changes that will mitigate your symptoms? Are you looking for a real cure and will settle for nothing less? Once you can answer these important inquiries within yourself, then you can create a master-plan towards succeeding in your quest. Until then, you are simply floundering in the proverbial dark trying to find something that lacks a defined state of existence. Define your goal and set yourself into action to complete it. Spondylolisthesis pain management practices can be traditional, complementary or alternative and might be viewed as being constructive or damaging. Learn about the many ways that listhesis pain is treated using symptomatic modalities. Are there any effectual spondylolisthesis home remedies available? For reducing symptoms, home care might be effective, but no home remedy will provide resolution of the structural issues associated with vertebral slippage. 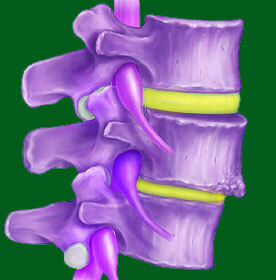 Coping strategies for spondylolisthesis will certainly help patients to live better with their spinal misalignments. Coping strategies can also be productive or destructive, much like treatment types, so patients should understand which methods are best indicated for them. Spondylolisthesis help is available to patients on a global level. We provide free patient education and advocacy and also guide patients to where they can find the assistance they need. Holistic spondylolisthesis treatment does not focus on the specific structural issues in the spine, but instead treats the whole individual: mind, body and spirit. Learn about the advantages and limitations of holistic care. Natural spondylolisthesis treatment uses only organic methods of care to help patients experience less pain and greater physical functionality. Nonsurgical spondylolisthesis treatment excludes invasive methods of care, like injections and surgery for treatment of vertebral migration. Alternative medicine for spondylolisthesis provides practices that fall outside of traditional medical circles, but still might be extremely effective in some instances. Complementary medicine for spondylolisthesis works hand-in-hand with traditional medical therapies for a combined care approach to treatment. Coaching for spondylolisthesis uses purely constructive practices to assist patients in managing pain, as well as enabling people to live better, more functional and more productive lives. Spondylolisthesis prescriptions range greatly, depending on case-specific parameters of slippage. Learn why your doctor might recommend different treatments for you compared to other patients. Set realistic goals and start small if you are unsure how successful you might be. Become ever-more proactive in your own care and devote a higher level of involvement into research and analysis of your many options. The fact that you are reading this guide now already proves that you are on the right path when it comes to this vital aspect of finding relief from spondylolisthesis. You have so many options when it comes to traditional medical, complementary medical and alternative treatment options. There are effective means of pain management that do not have to harm you. Some of these methods are actually really good for you and provide general health benefits, rather than collateral damage to the mind and body. Finally, there are virtually always cures available for those who are brave enough to face escalated methods of care that may require surgical intervention. Mild to moderate listhesis is rarely a symptomatic condition, but this fact does not help you at all if you are one of the people with a grade 3 or 4 classification and terrible suffering as a result. For you, relief is not only needed; it is justly deserved. Do everything you can to achieve your goal, whatever it may be. All the information you will ever need is right here. We are happy to help. If we can be of service to you, and help you to live better, then all of our work will be worthwhile. Need relief right now? 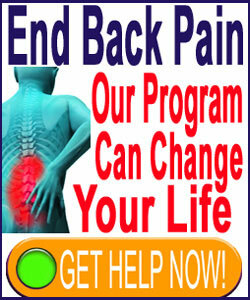 Our proven Cure Back Pain Forever Program is available to help you around the clock from anywhere in the world.